THIS IS FOR MY FISH TANK ROOF. 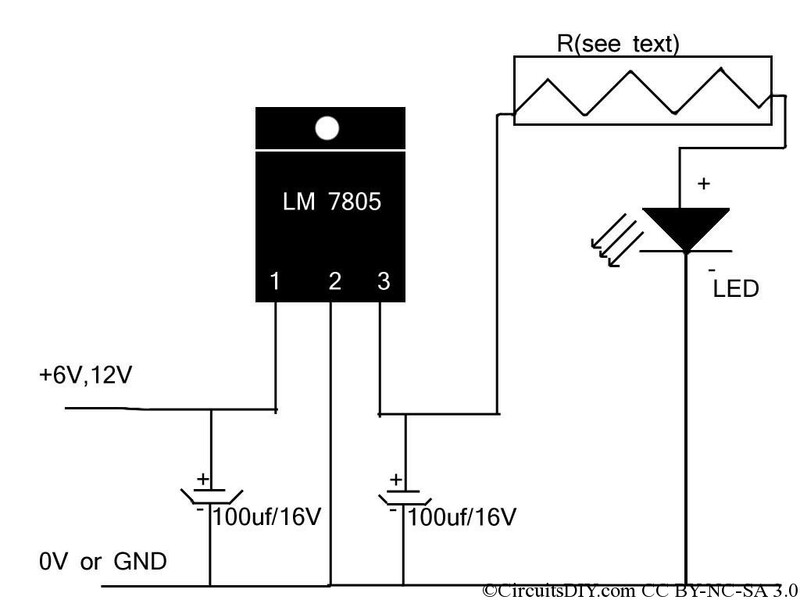 i want to make my own led project of 20 power leds of 3w in series.what should be the diagram & driver for this. Can u help me please. I have 30W Highpower LED 900mA 32V-34V. Do you have any Circuit? A very power hungry and inefficient circuit for driving LED’s. For the 3 Watt LED we are wasting nearly 50% of the total power in the 2.2 ohm resistor, which is absurd. A better alternative is to use a regulator like LM317 in constant current configuration for supplying 300 mA for the 1 Watt and 700 mA for the 3 Watt LED’s. Thousands of circuits are available on the internet, just google search for “LM317 constant current circuit”. The LED survived as the current is limited by the mobile charger itself. What the type of the capacitors of 100uf , ceramic, eletrolitic??!?!?!? Of course ! They’re electrolytic capacitors. Using LM7805 will not fully charge some cell phones, will keep charging at 95% only no matter how long you charge you cell phone(like Samsung smart phone(galaxy j2-j7) check your cell phone charger with a multimeter, the dc voltage will be around 6.50/or little more, because when you plug your cell phone to your charger, there will be a voltage drop. I have tested with “LM7806” not LM7805(: and works flawless. Thank you. Hi.i wanna run 4 1w led,if i use 3.7 v battry i won’t need to use drive? And if i want these led at least 3 h work how many amp My battery current must be ? And is it better that i hook up leds in Consecutive circuit or series? In that case you don’t need any driver. just use a 1 Ohm 1 Watt resistor in series with each LED, total 4. 1Watt LED draws around 330mA current, so for 4 LED, it’s 1.32 Amp, for 3 hour backup you need 3.96Wh of energy, thats could be a 4000mAh battery. But in real life, you need around a 5000mAh battery, use two battery in parallel.